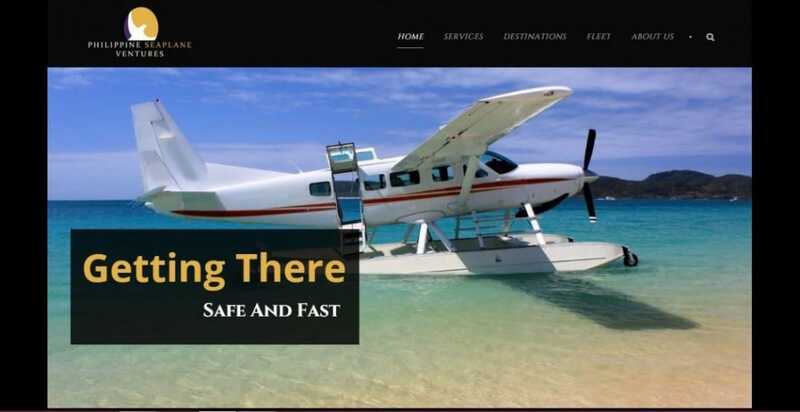 Philippine Seaplane Ventures is the first commercial seaplane service in the country to bring forth a truly unique and noteworthy convenience of direct-to-resort air services. PSV is operating initially from Manila directly to various remote resorts in the northern Palawan region using 10-seater Amphibious Cessna 208 Caravans, cutting travel time from an average of 6 hours to a comfortable one of 1 1/2 hours. This service and the company provides the highest operating standard to ensure a safe and enjoyable passenger experience enroute to their destinations. Please let me take the opportunity to thank you for an excellent job creating our new website. Besides loving the site and its speed, you said what you would do and did what you said. Sad to say that is not common but you guys nailed it. You also took the time to explain things in layman’s terms and the advice provided along the way was solid and with our interests at heart. You have clearly understood the concept of good customer service! I have had a couple sites made and spoken to many along the way, nobody came near what you delivered. I give you guys full 10 out of 10! Thanks again, you have taken my fears of dealing with web design companies! Thank you for the awesome website! It is refreshing to have a website and be able to show it around proudly. Gone are the boring colors and graphics. This is truly a big step forward for us. We have received quite a number of inquiries since the new website has gone online. They say the eyes are the windows to a soul… in this case, the website is the window to the company’s soul. Thank you for giving us some much needed Oooommmphh!